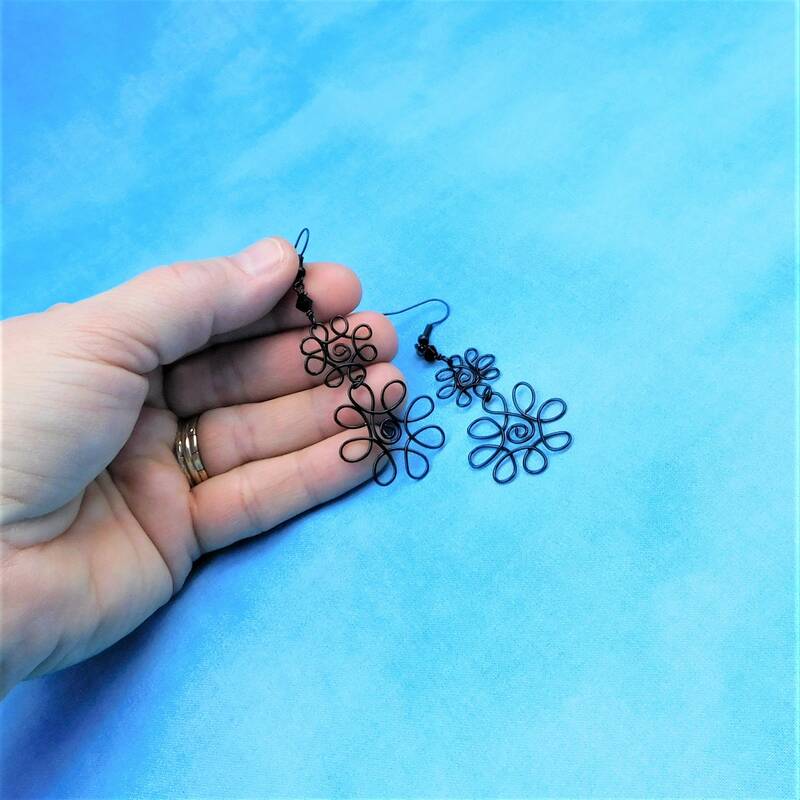 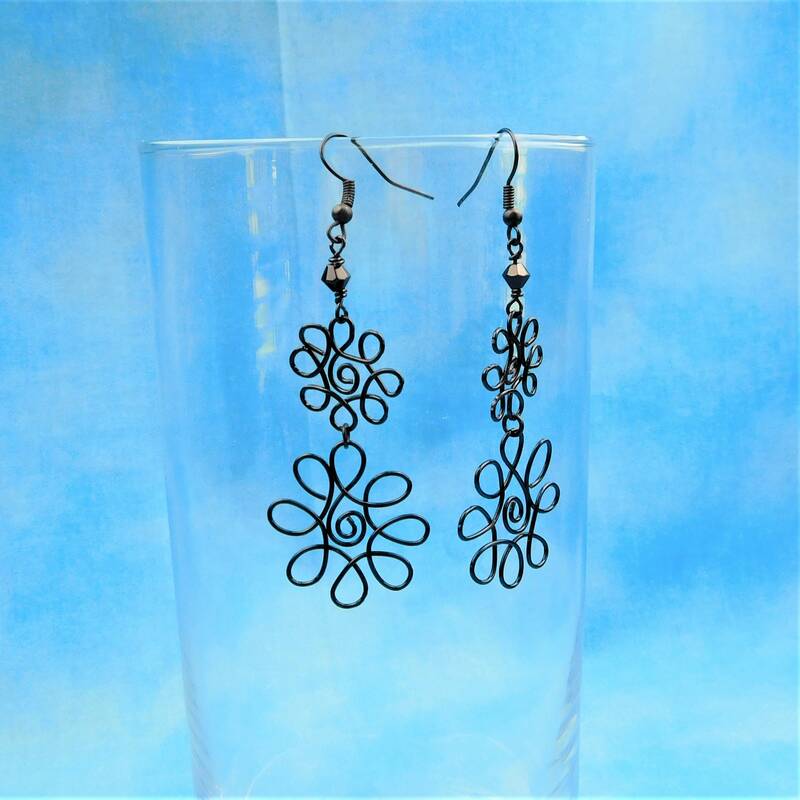 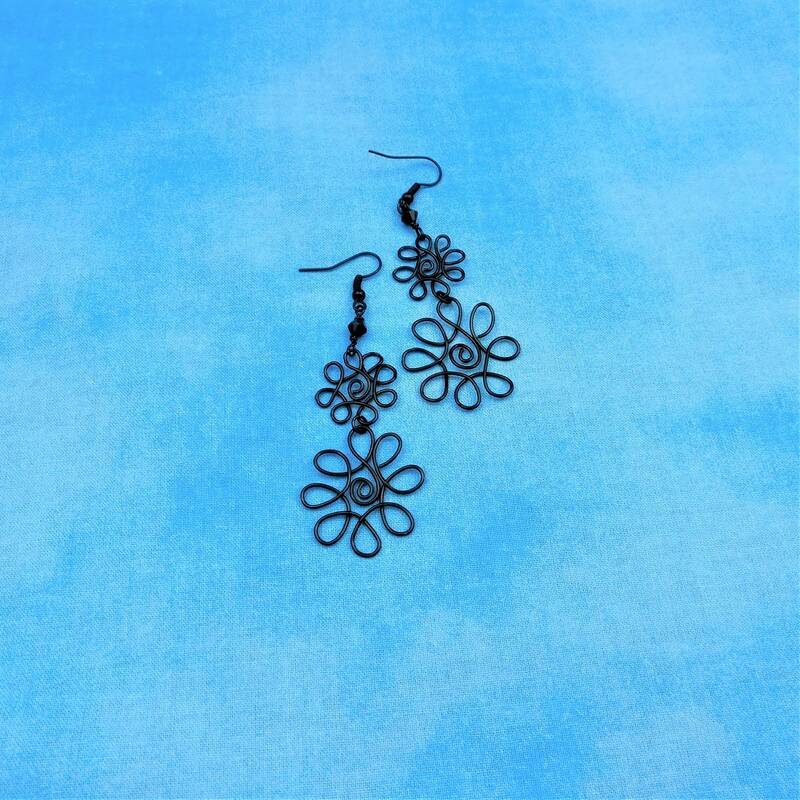 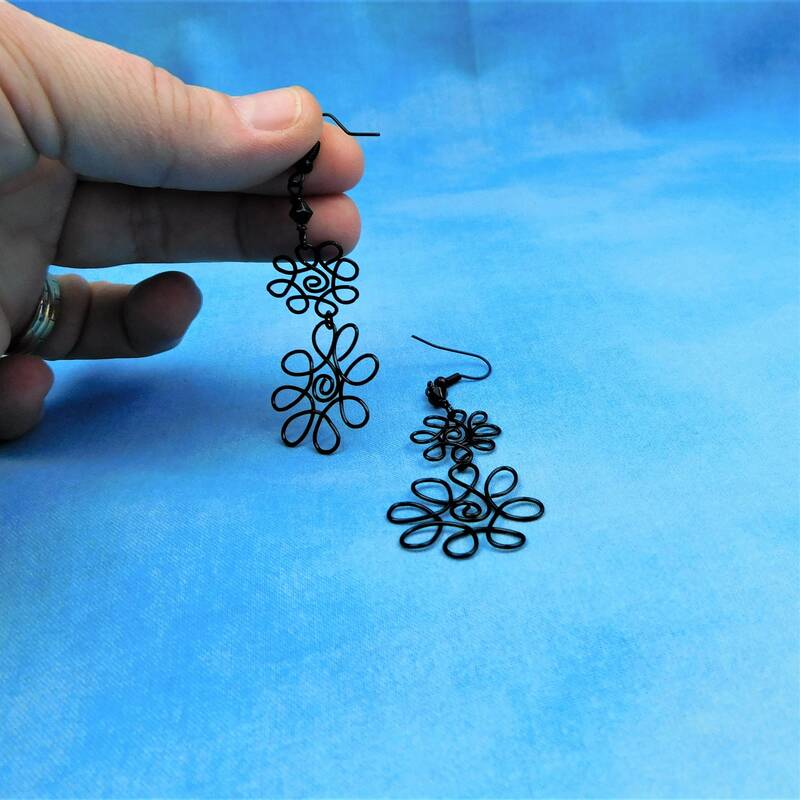 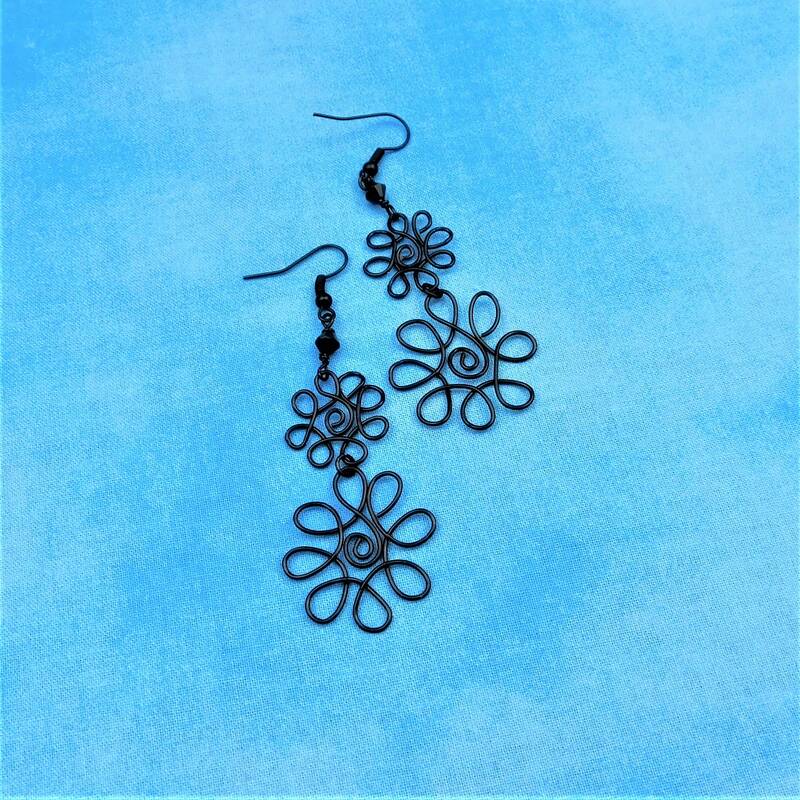 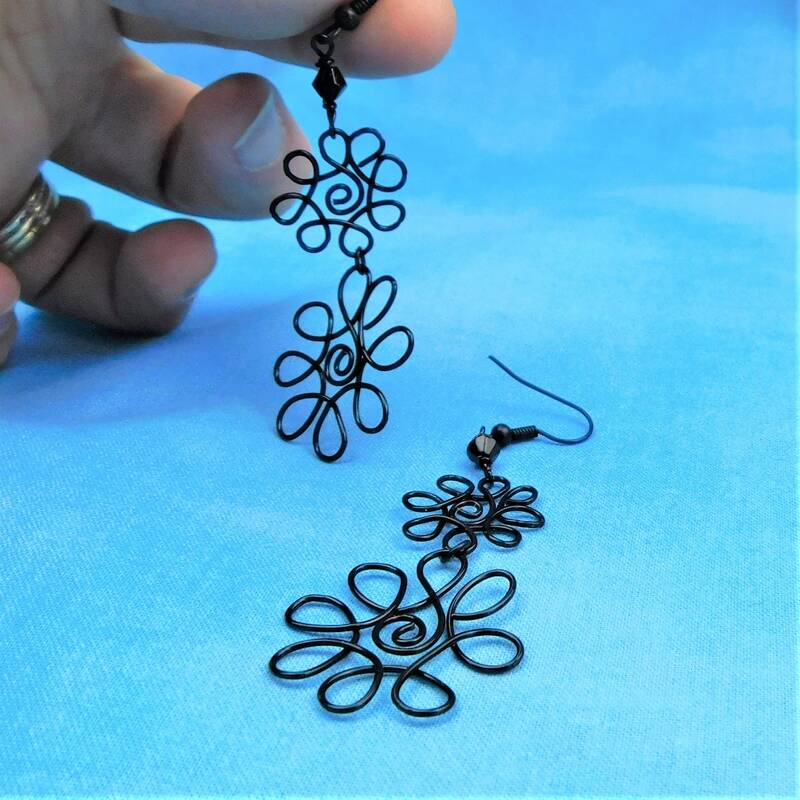 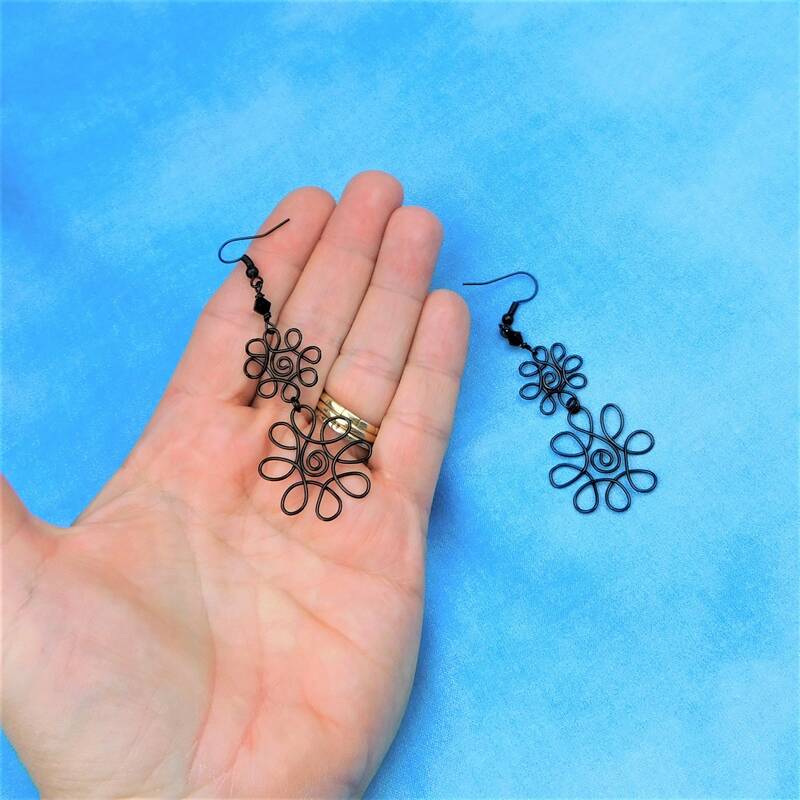 Black colored non tarnish copper wire is hand sculpted and shaped into flowers, and suspended from black colored nickel free metal fish hook style ear wires. 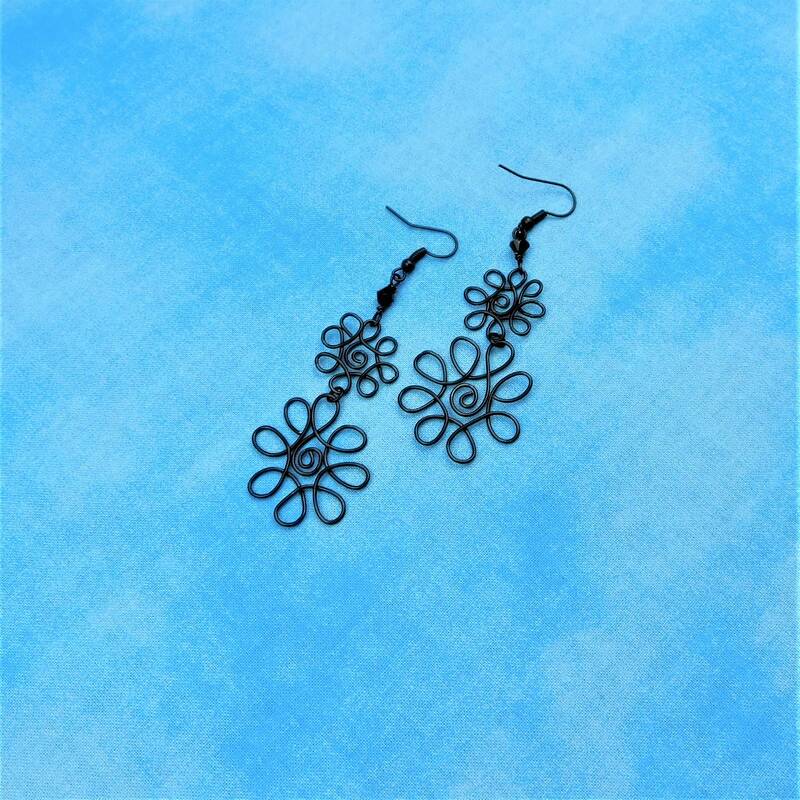 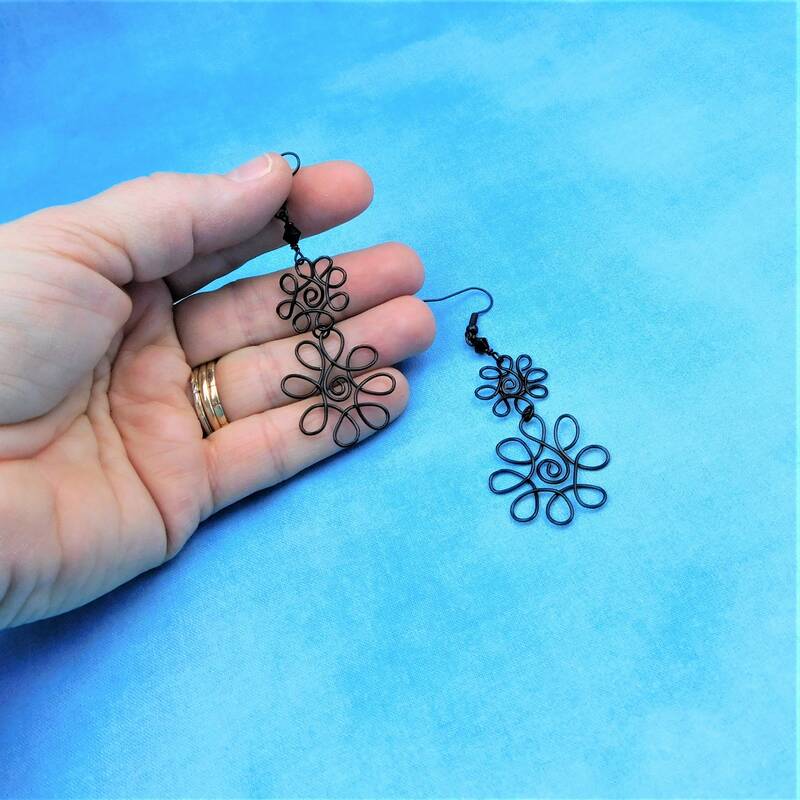 The two flowers hang 2 inches from the bottom of a black crystal bead. 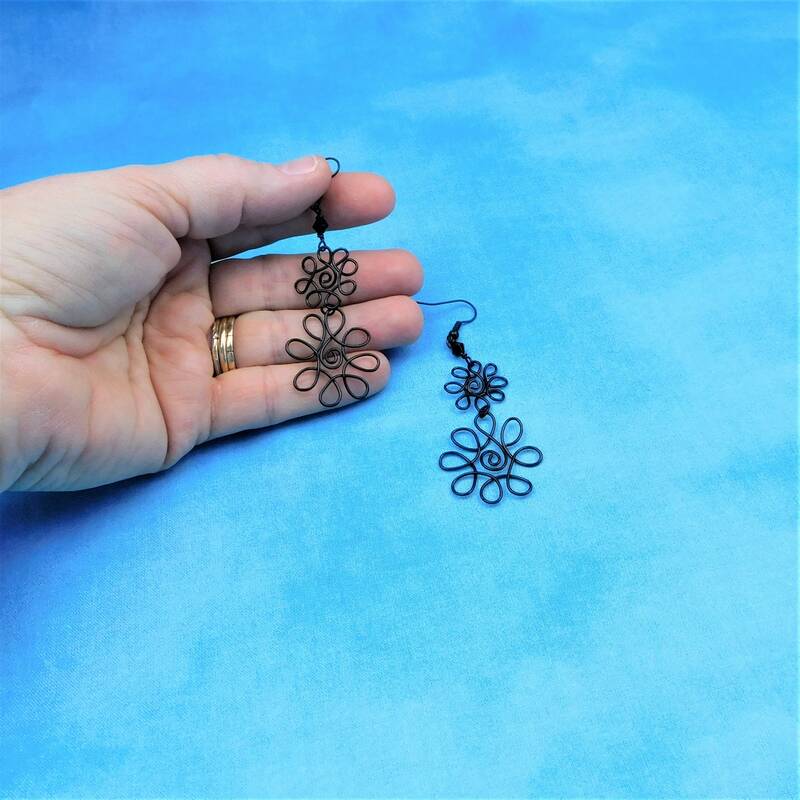 The total length of the earring, from the bottom of the ear wire is 2 1/2 inches.